About Urinary Tract Infection You must be thinking about why we are discussing Urinary Tract Infection instead of Nocturia. The main reason to discuss UTI is that Nocturia occurs because of urinary t ract infection. Now you must be thinking "How"? A urinary tract infection (UTI) is a bacterial infection that affects any part of the urinary tract. When bacteria get into the bladder or kidney and multiply in the urine, they cause a UTI. The most common typ e of UTI is a bladder infection which is also often called cystitis. Another kind of UTI is a kidney infection, known as pyelonephritis, and is much more serious. The urinary tract includes the: Bladder. Kidneys. Ureters – the tubes that take urine from each kidney to the bladder. Urethra – the tube that empties urine from the bladder to the outside. What is Nocturia? After discussing UTI, you must be thinking of how Urinary Tract Infection and Nocturia are related. As we have discussed earlier t hat urinary tract includes 4 parts and Nocturia is one of the symp toms of bladder infection. Nocturia is a medical condition in which a person has to wake up very frequently in the night to urinate and the amount of passing the urine can be normal or in a small amount. Normal urinate is good for health but frequent urination can cause burning sensatio n and pain during urination. So, if you are waking up and going f or urination very frequent in the night then it's a sign of nocturia. So, you should consult a doctor as nocturia is one of the sympto ms of bladder infection. Prevention Tips for Nocturia Avoid taking drinks like alcohol, tea, coffee at night as th ese stimulate urine production. Limit your intake of fluids two hours before bedtime. Take afternoon naps. Elevate your legs, this will help to redistribute fluids back into the bloodstream and reduce the need to urinate. Maintain a healthy weight as excess weight can put press ure on your bladder. Perform Kegel exercises regularly. Why Homeopathic Remedies? Now a question arises, what type of medication y ou should go for either Homeopathic remedies or pharmaceutical medicines. Choosing homeopathi c remedies is a good option as Homeopathy treats the person as a whole. It means that homeopathic treatment focuses on the patient as a person, as w ell as his pathological condition. 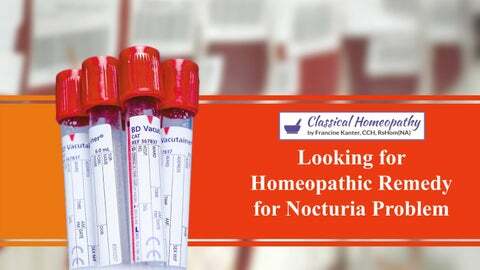 So, choose Homeopathic Remedies for Nocturia and get th e solution from this problem without having any s ide effects. Why Francine Kanter? Now you must be thinking about how you can find " Homeopathic Doctor Near Me?" 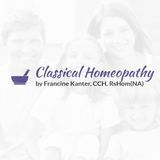 So, for that, you can contact Francine Kanter, CCH, RsHom(NA) is Board Certified by the Council for Homeopathic Certification of N orth America, and has over 15 years of experience. She is also a member of NASH, North American Society of Homeo paths. She has successfully treated a wide range of diseases and disorders and strives to find solutions and improve the quality of life of her p atients. Whether you are struggling with chronic pain or want to improve a nd enjoy a high level of overall health, she can help you with the be st natural remedies. So, wait no more and contact her.